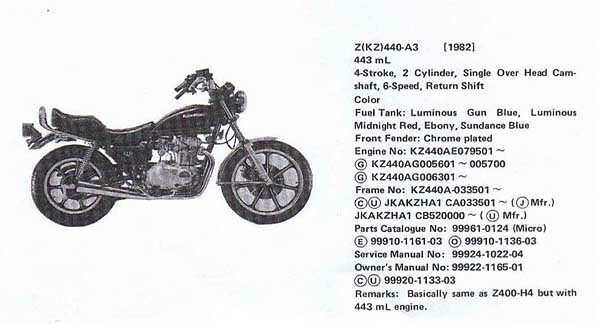 Since the 1975 KZ400 S was produced at two different plants in two different countries, the frame numbers will have two different serials. 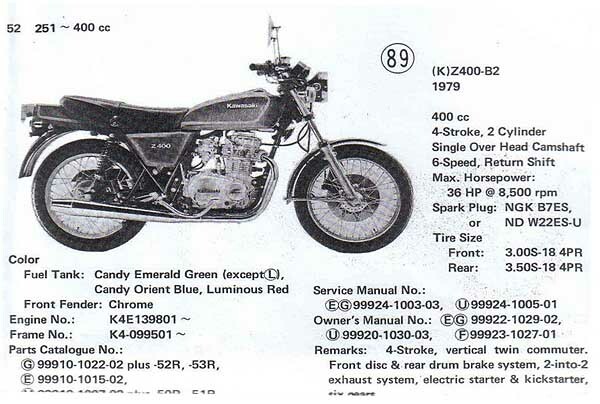 Bikes prodused at the Kawasaki plant in Lincoln, Nebraska, USA, will have frame numbers from : K4S-50001. 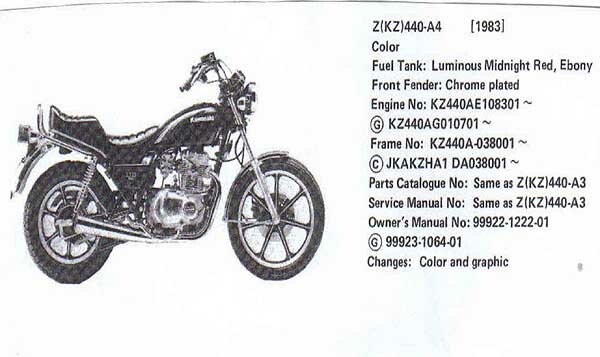 Bikes produced at the Kawasaki plant in Akashi, Japan will have frame numbers from: K4S-00021. 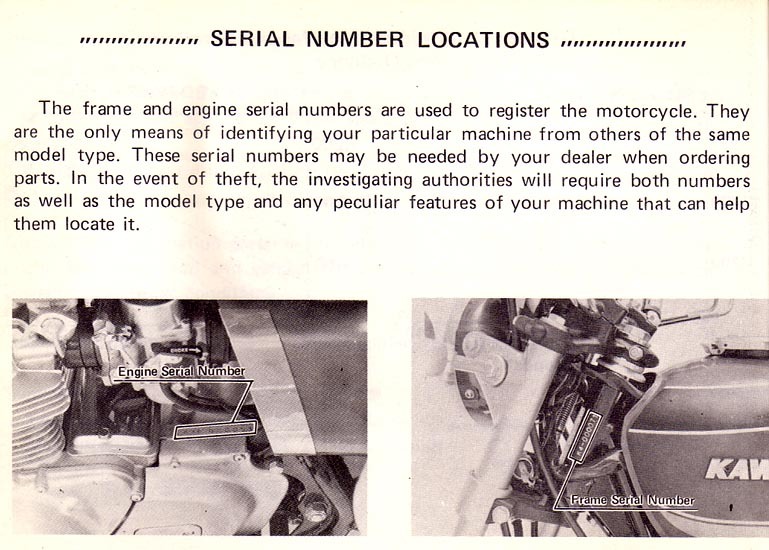 The engines used are all from the same serial, starting at : K4SE000023. 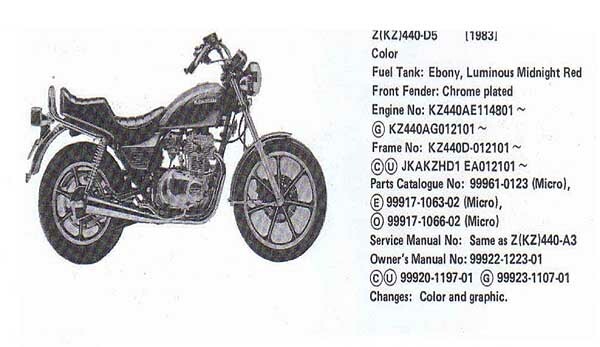 (FEB 81) Z440A2, Custom version, stepped seat, teardrop tank High rise handlebars alloy wheels megaphone style exhausts finished in Red or Ebony. 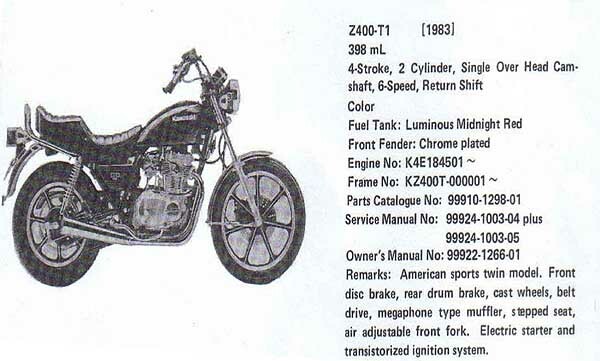 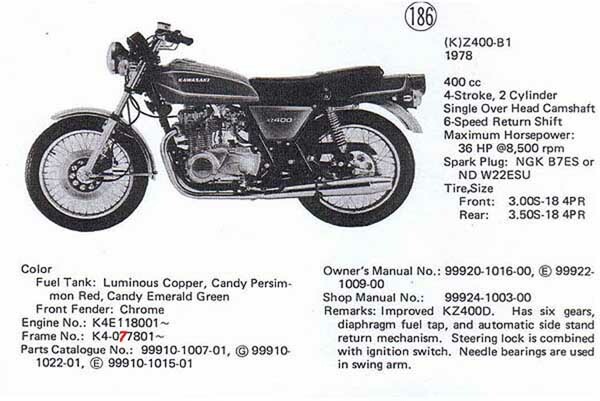 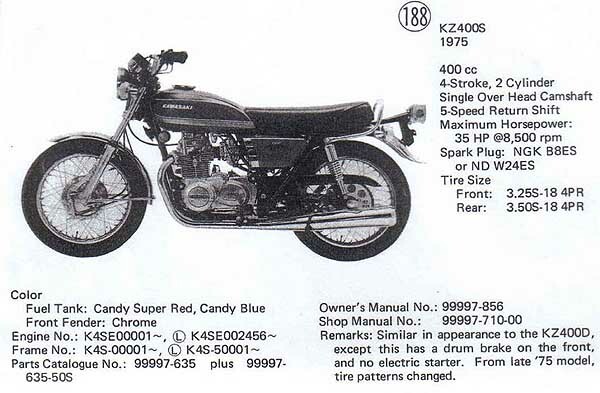 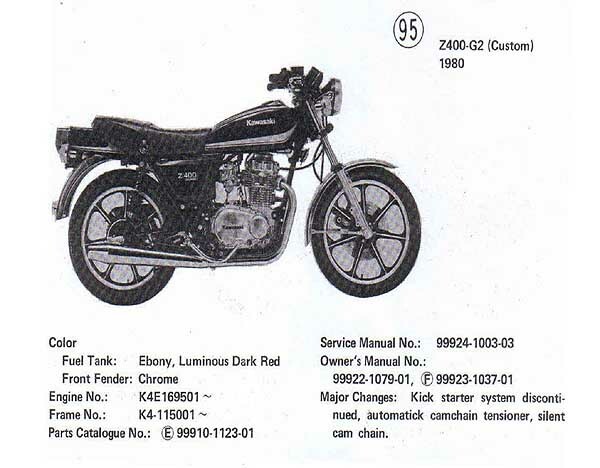 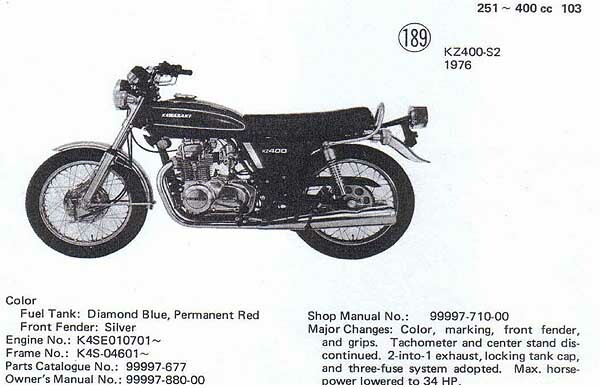 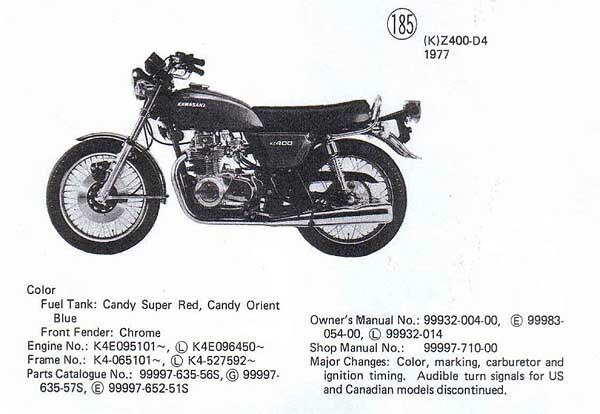 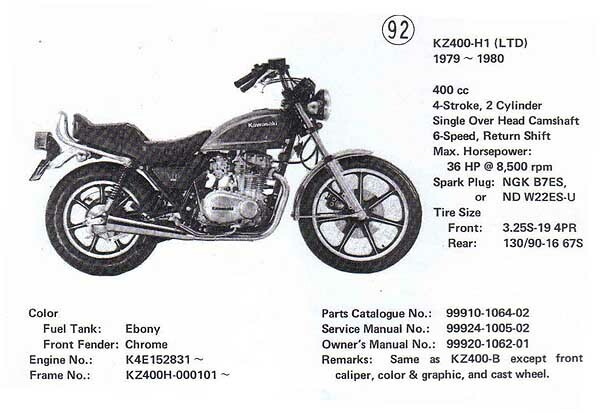 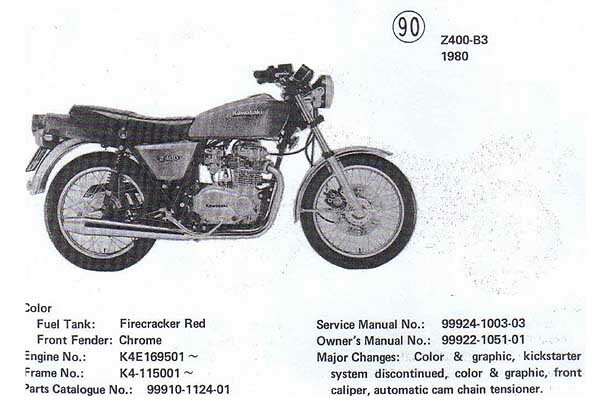 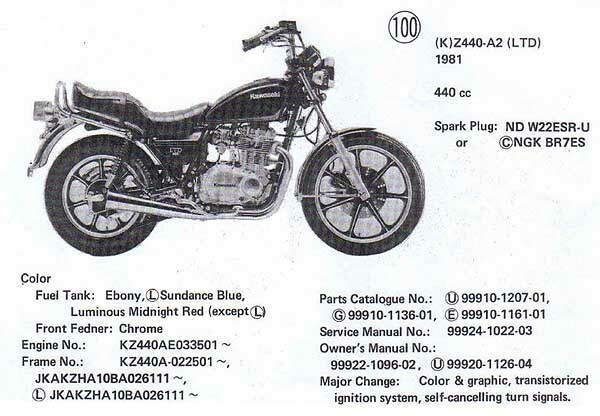 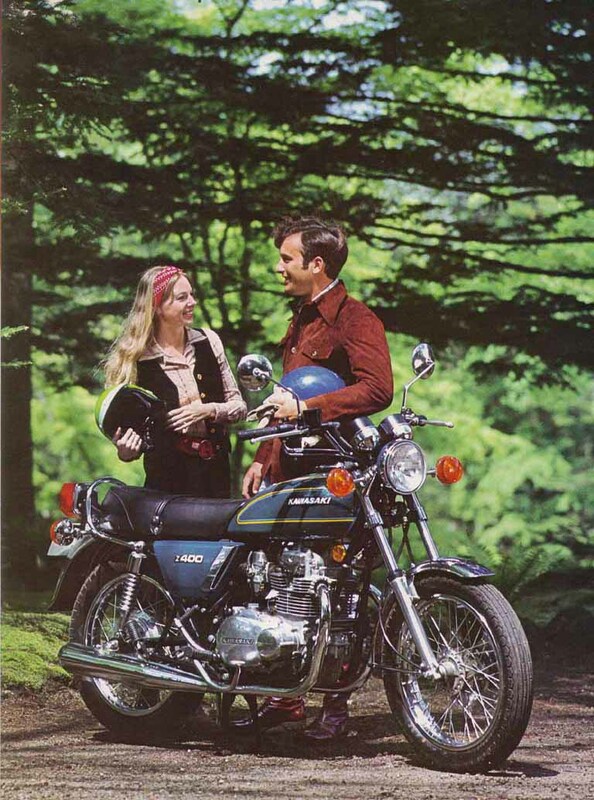 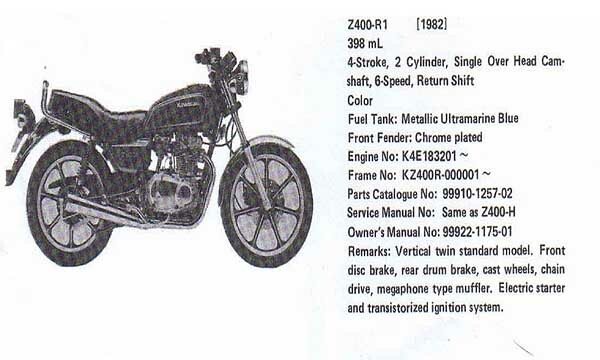 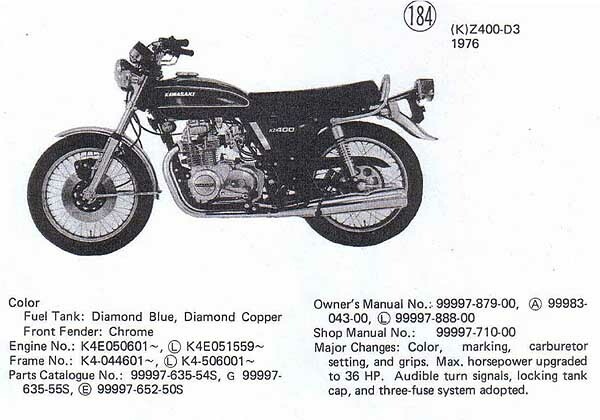 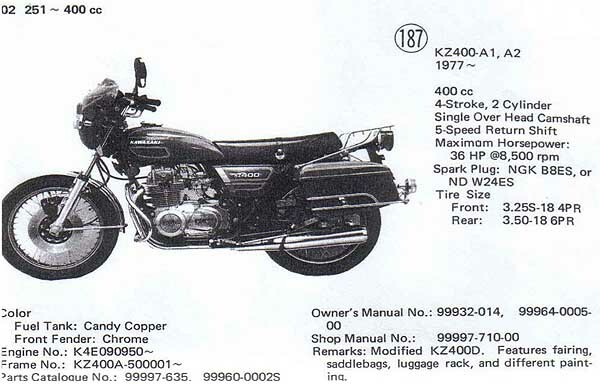 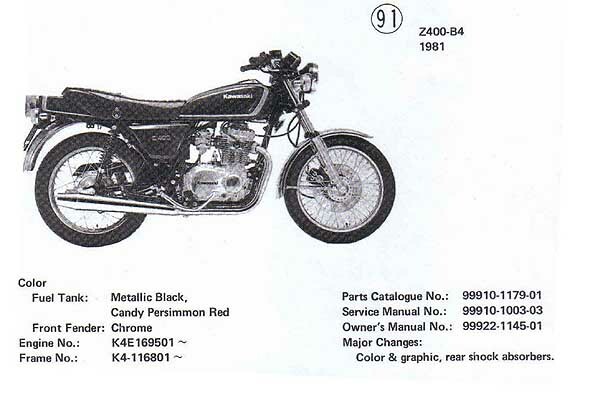 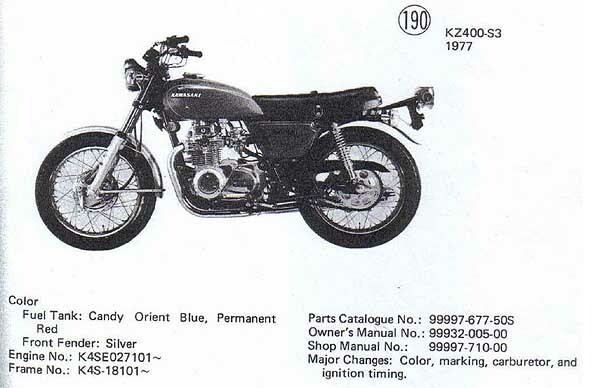 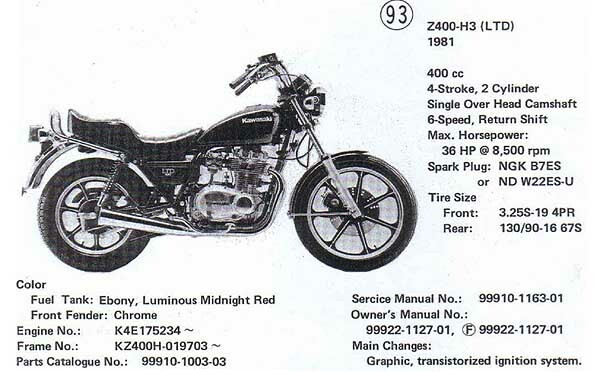 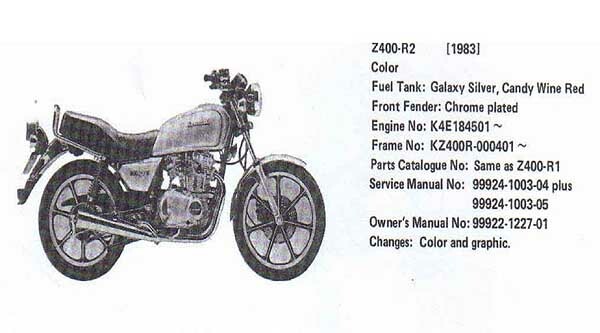 There were basically four models of Z400 twin the KZ400, the Z400D, Z400B and Z400G. 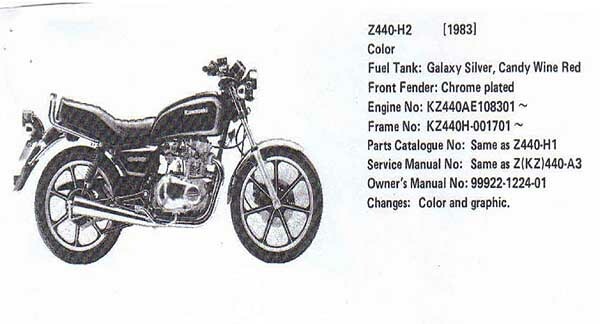 The first two shared the early engine design which wasn't Kawasaki's best. 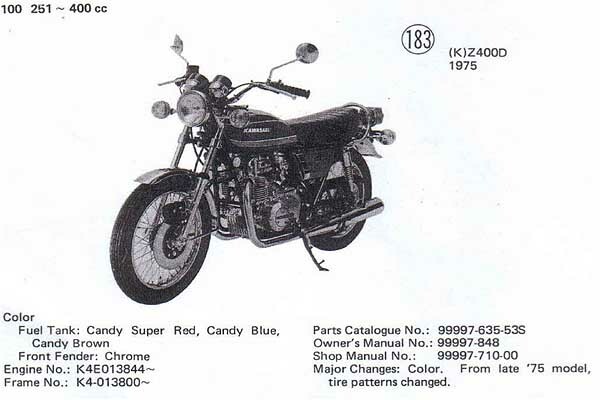 Among other problems it used to strip the teeth off the balancer shaft drive on the crank which effectively totalled the engine. 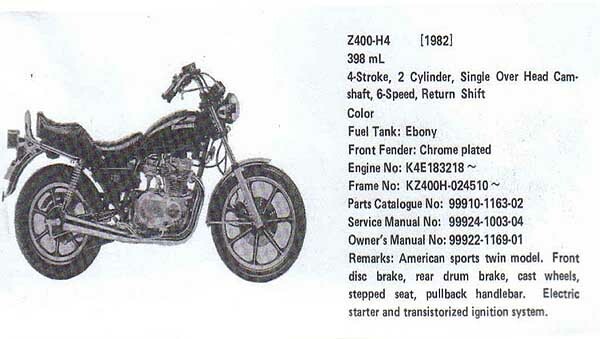 The motor was redesigned for the Z400B from engine number K4E139801 and was much improved. 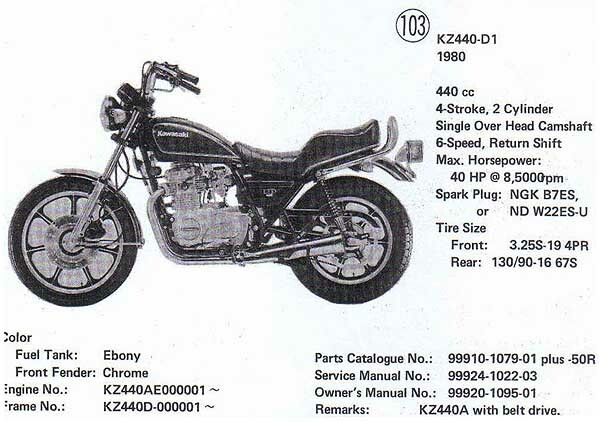 The Z400B can be easily identified from the earlier bikes as it has a tailpiece; the Z400G is the same as a B but has cast wheels. 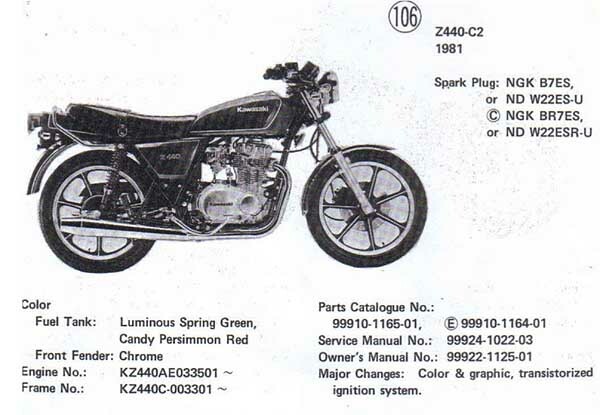 Not many parts are interchangeable between the early and late motors. 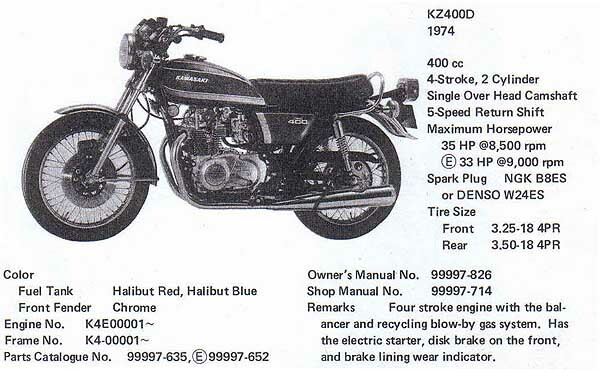 The Z440 was a direct descendent of the B/G series and lots of parts will fit. 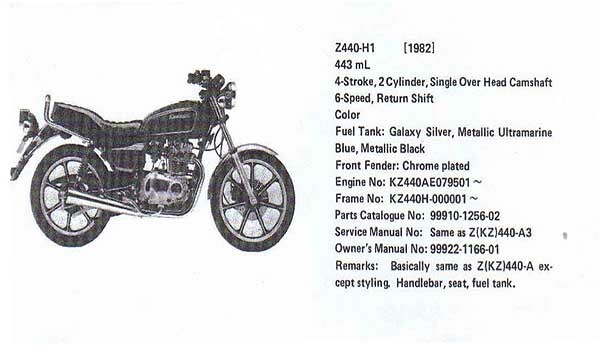 The barrels and pistons are different, the cylinder head are the same, carbs are different. 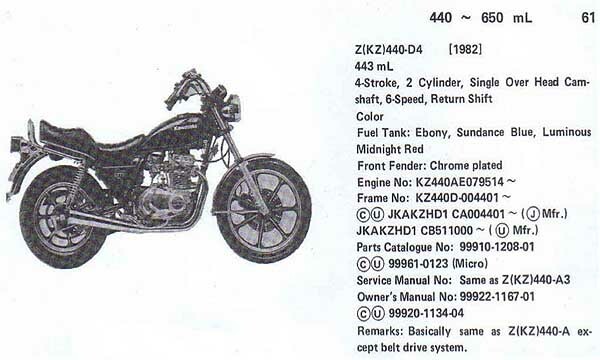 Barrels/Pistons Z440 Barrels and Pistons can be put on a Z400 B, C, G and H bottom end and Visa Versa as both have the same stroke and lubrication system. 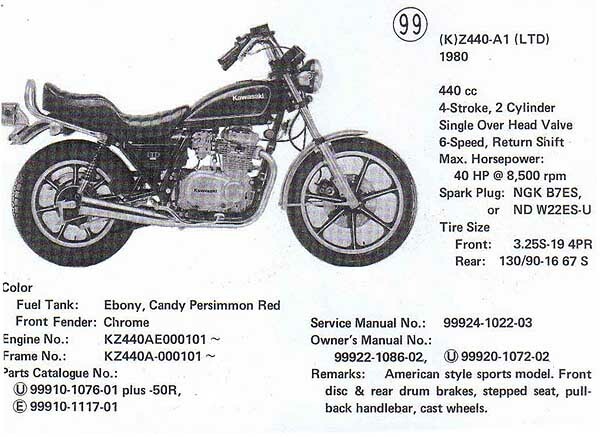 Forks can be exchanged as all are same diameter but as model progressed it went from drum to disc with a change in the bottom fork leg. 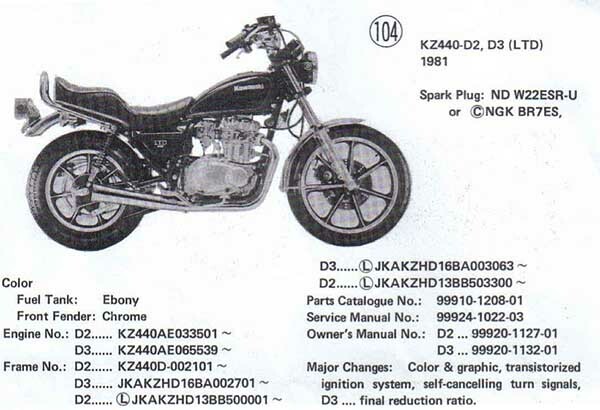 And the bottom fork leg also changed between the different disc brake models, so you will need to either swap stanchions or fit correct wheel assy. 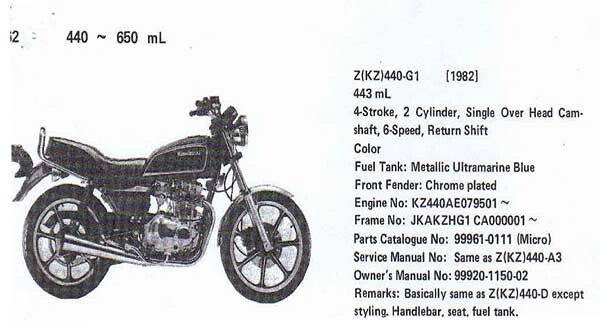 Also the length of the fork tubes will vary between the different models. 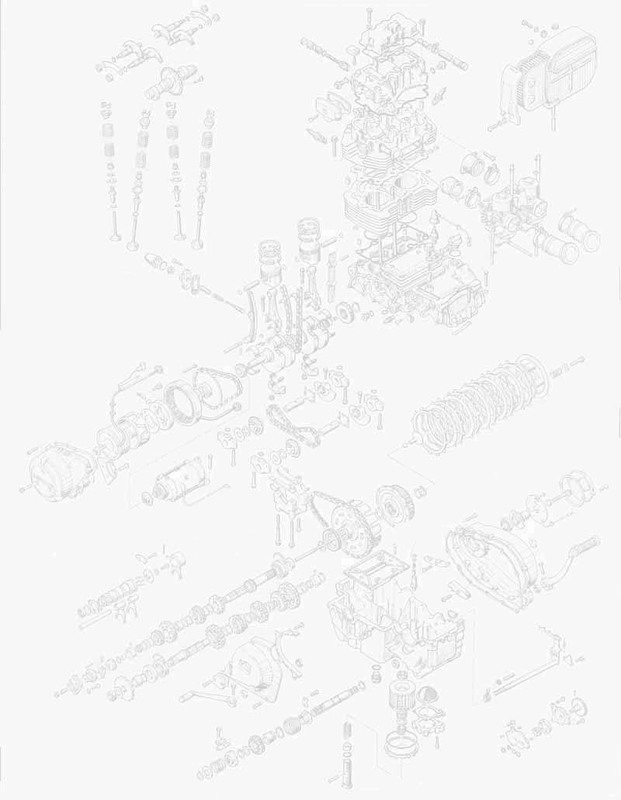 Frame. 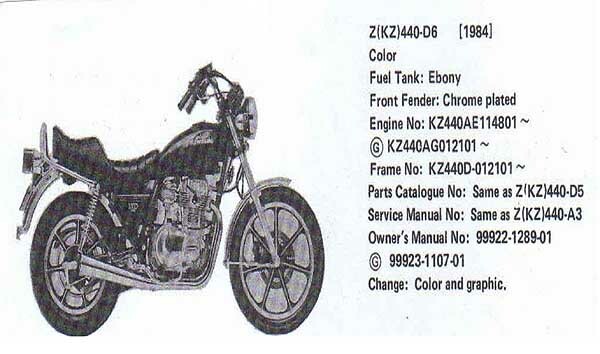 You can fit any Z400/Z440 engine into any frame all are exchangeable but there are differences in the frames but with work all can be used. 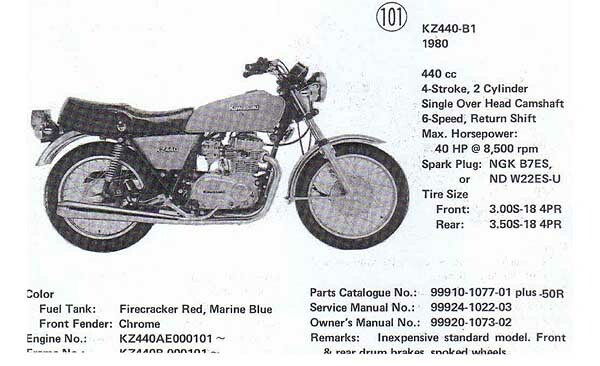 Oil Filters GPX250/KZ400/Z400/Z440/Z440 LTD/Z750 Twin there are also Honda models that will fit I will add these soon.